Are you looking for the best power of attorney translation services in Melbourne? Look no further. Melbourne Translations can provide you with a reliable power of attorney translation. Power of attorney translation is just one of the many documents that our translators specialize in. Interested? Get a free quote in 15 minutes by just filling in the translation form found on this page. The difference between Australia and the rest of the world is that we have the NAATI or the National Accreditation Authority for Translators and Interpreters Ltd. This authority is the one in charge of maintaining an ironclad standard for the translating and interpreting industry. With that in mind, most government departments in Australia require a NAATI certified translation for its high standards and accuracy. You need to have an accurate power of attorney translation to not hinder processes and hiccups along the way. Melbourne Translations is one of the best translation service provider that is NAATI certified. Melbourne Translations provides a fast, high-quality, and affordable means to translate your documents. We make sure that your documents are sent to you before the deadline. We not only specialise in power of attorney translation services, but we also cater to birth certificates, bank statements and a lot more! Melbourne Translations has built a team of well-trained and experienced translators throughout the years. With every translation project that we receive, we allocate it to the most qualified translator. This ensures that your documents will be handled appropriately and professionally. We take pride in providing high-quality translation services since we have experts that can handle it with no problems. We also have the lowest rates in Australia! How great is that? We have dedicated ourselves to providing great translation services. From the receipt to the translation and its delivery, our project managers will do what needs to be done to get your translations done on time. And with the quality that we provide, rest assured that Melbourne Translations will stay true to its name. Translations are finished depending on the length and complexity of the document. Here at Melbourne Translations, most documents are completed in just 2 to 3 business days. We also provide service to the people who do not have the time to wait. Take advantage of our express translation services. We can prioritize your documents and have it in your hands sooner. We are confident in meeting your deadlines. Our project managers are always happy to take on the challenge. For all translations, we will send you a certified soft copy via email. But, if you need a hard copy, you can tell us ahead, and we will send you your NAATI certified documents via Australian post. Yes, we proudly are! Melbourne Translations is happy to let you know that all of our translators are NAATI certified. So rest assured that every completed translation conforms to the high standards of the NAATI. Our translation services are 100% accepted by any department, agency, or company that require NAATI certified documents. Yes! Melbourne Translations provides services online! How amazing is that? Just follow the quick and easy steps below. You can also contact us via the Live Chat if you have any queries. Leave us a message in the translation quote form. You don’t have to come to our office to order a translation. We humbly believe that your time is precious and should be treated accordingly, you can reach us in the comfort of your home. You can order one of our power of attorney translation services which is just a few clicks on our website. It will only take you a few minutes to order. Are your translators NAATI certified? You bet they are! Melbourne Translations is home to hundreds of NAATI certified translators eagerly waiting for your documents. We make sure that your power of attorney translations go through processes to ensure that there are no errors and maintain the quality that we are so proud to have. 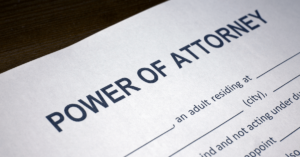 You can count on us to provide you with a 100% accurate power of attorney translation. We have a list of languages that we can translate to and from. In case you are looking for a Power of Attorney translation service from English to other languages. Melbourne Translations give you the best choices. Ready to work with our NAATI certified translators? Simply follow the instructions below and we will be happy to cater to your needs. Complete the translation quote from and wait for our exact quote for your document. This service is absolutely free of charge! We will send this to you in the span of 15 minutes via email. Process your payments via bank transfer, credit, money order, cheque or EFT. We will start working on your project as soon as the payment is complete. When your translation is finished, we will email you a draft for you to check and make sure that you are satisfied with our service. After that, we will send you the final NAATI certified soft copy of your translation. And there you have it! Contact us via Live chat if you have any more questions and clarifications, we are more than happy to translate for you.